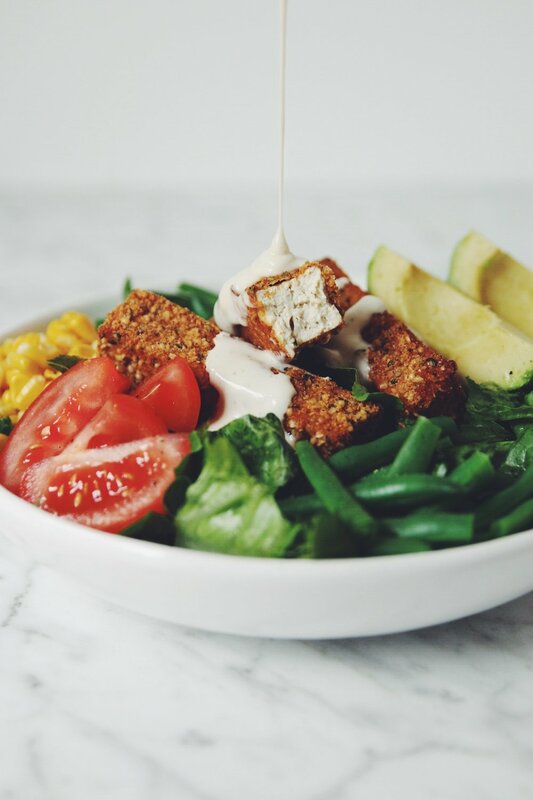 This tofu cobb salad has been a go-to meal of mine for a while and wanted to share it with you! I created these tasty little tofu nuggets as part of the post I did with Manitoba Harvest last year, sharing creative ways to incorporate hemp hearts into your meals. The tofu fingers or nuggets… whatever you want to call them… are even great on their own right out of the fridge cold! Serve these with a dip of your choice like my popular ranch dip, preferably. But for a whole meal, I found them really satisfying on this tofu cobb salad! Feel free to customize the salad components however you please. You could also add nuts and seeds on top, or some black beans or chickpeas for more protein! these gluten-free breaded tofu nuggets are highly addictive... you've been warned! They make the perfect pairing with a fresh cobb style salad and a creamy ranch. Drain the brick of tofu from the packaging water and pat dry with a tea towel or paper towel. 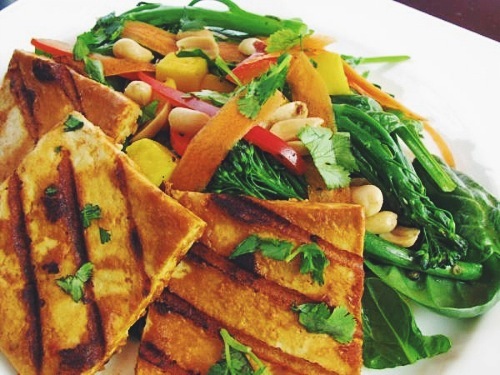 Cut into 8 thick sticks or depending on the shape of your tofu brick you can cut those in half again for 16 pieces. They should be like a fish stick style shape. To make blanched green beans that are still bright green and crunchy you can boil them or steam them in a pot and then just as they turn bright green all over and are tender, drain them from the hot water and submerge them into a large bowl of ice water. Then once they've been submerged for 5 to 10 minutes you can drain them from the water into a colander. Serve them immediately on the salad or pat dry and store for 2 days in a container in the fridge. Assemble the salads with romaine lettuce, a handful of corn, green beans, a few tomato wedges, and cubed avocado. Top with 3 to 4 tofu nuggets per salad and drizzle with ranch dressing! We’ve had this four times in the last week, and we are not even close to sick of it yet. SO. GOOD. I made this last night and it was phenomenal. I used regular breadcrumbs instead of gluten free and it turned out great. When I make it again, I think I will use just 1/4 cup hemp seeds and 1/4 cup breadcrumbs. I ended up throwing out a lot of the breading. I also added black beans to my salad and I have some quick pickled red cabbage for leftovers today. Fantastic recipe! 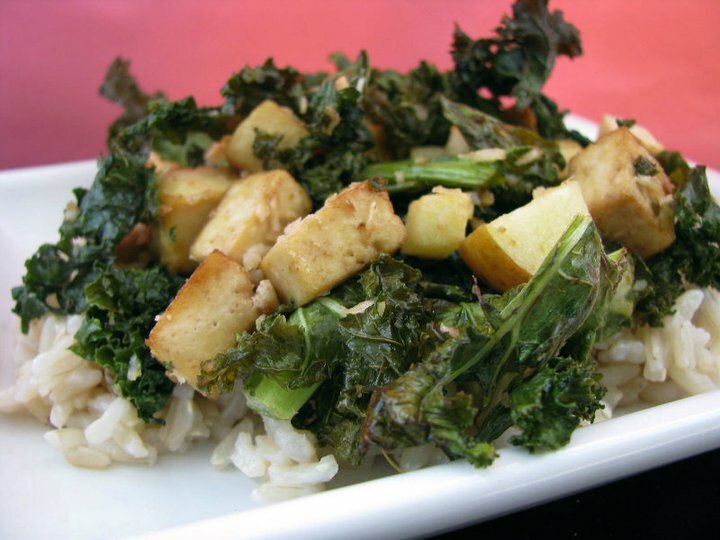 <a href="https://www.houseappliancesstore.com/"/>Nice</a&gt; Recipe This salad looks yummy, i love vegan foods & will definitely try to make it for my diner! 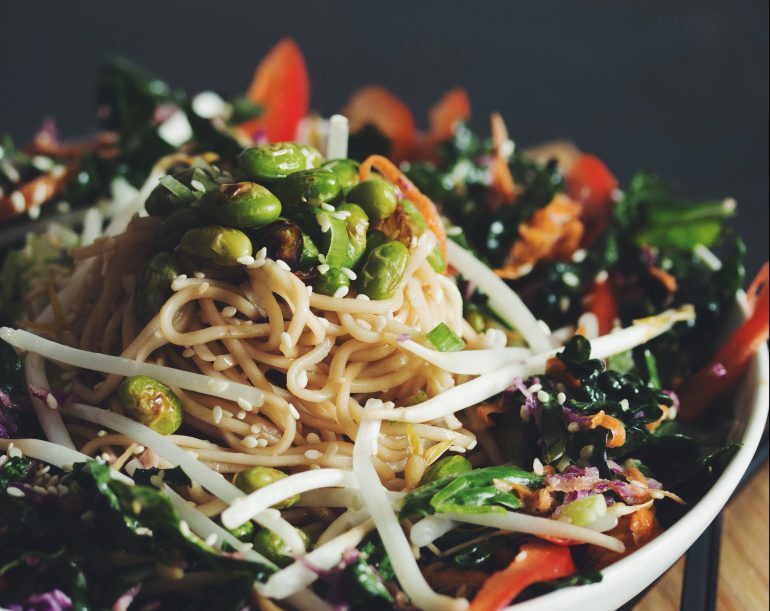 Thanks for sharing this great salad recipe.